Yamaha UK have added a new family member of the Majesty scooter lineup through Majesty S125 model, as reported by Visordown. 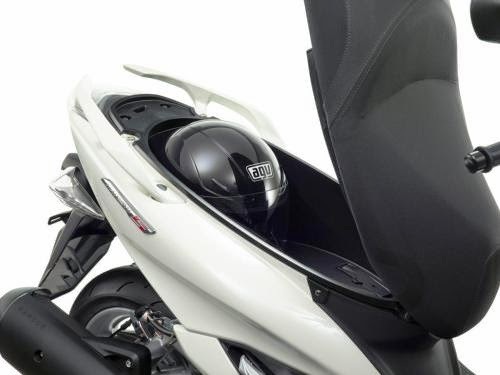 Majesty S125 gets an update on the screen is made higher than the previous version, but it has to apply the glovebox, a hook to hang shopping bags and luggage under the seat is designed to be more spacious so it can load the half-face helmet. Majesty S125 uses an engine 4-stroke liquid-cooled which has a capacity of 125 cc and capable of producing approximately 11.80 bhp and maximum torque of 11.6 Nm and is mated to a CVT transmission. Yamaha claims that the engine is tuned to deliver punchy and responsive acceleration. 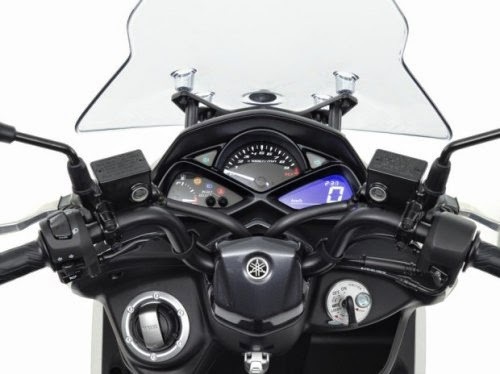 The overall design of Yamaha Majesty S125 looks very masculine. This is due, this scooter be furnished with LED headlights and taillights have been inspired from the Vmax. Scooter is designed with a neat, instrument cluster has a three-gauge design that displays a variety of information through an analog tachometer, tripmeter and digital speedometer. This scooter is equipped with a 267 mm front discs and 245 mm rear disc brakes adequate to stop the scooter. Yamaha Majesty S125 equips with telescopic suspension at the front and a monoshock at the rear to improve agility. Majesty S125 has a flat footrest and wear double seat that provides a relaxed driving position, and also allows for easy access to the foot of the ground. 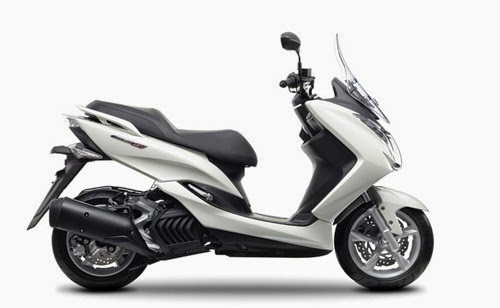 Yamaha Majesty's claim that it is ideal to stop and go of typical urban riding.